I went to Target the other day on my lunch break with the intention of buying diapers. I decided to do a quick pass through the home décor section and I’m so glad I did. 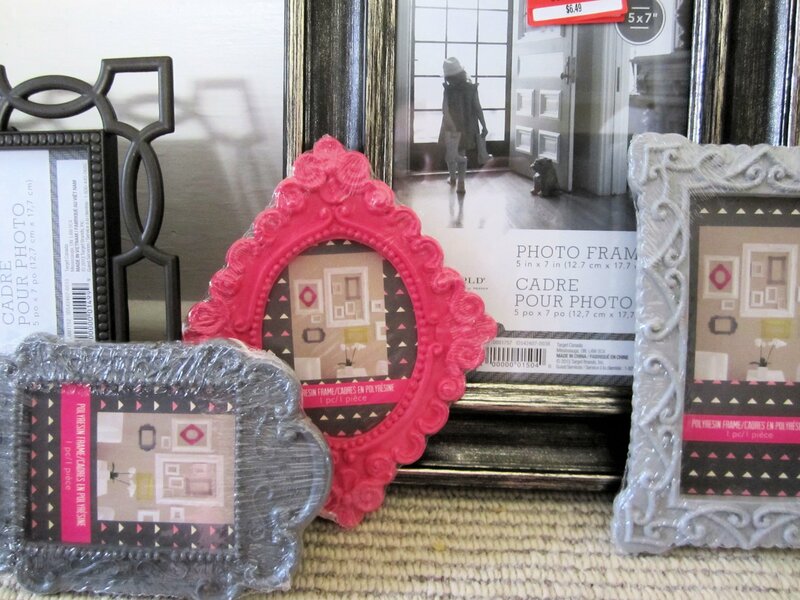 They had picture frames on sale and with my impending gallery wall project, I was inspired to pick a few up! 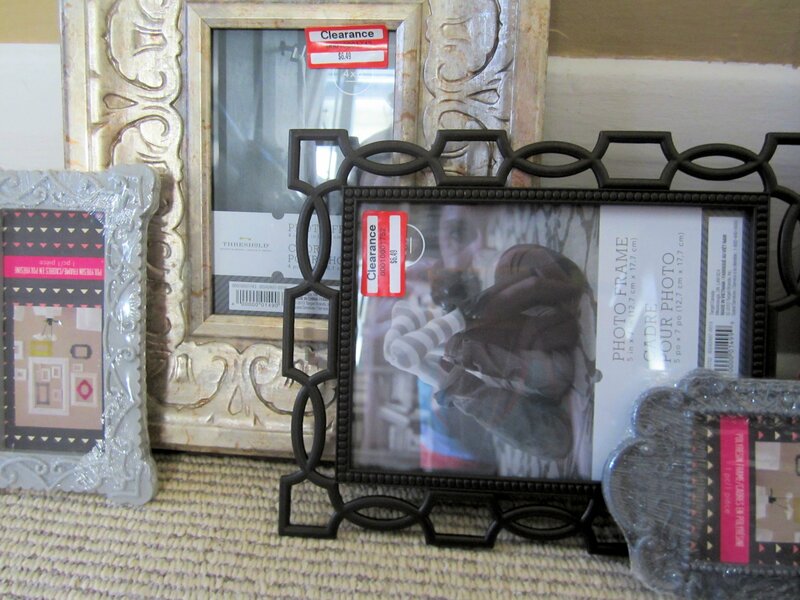 The 3 larger frames (2 5×7 and 1 4×6) were on clearance for $6.49. I love the detail and they are such a good match to my existing colour scheme. 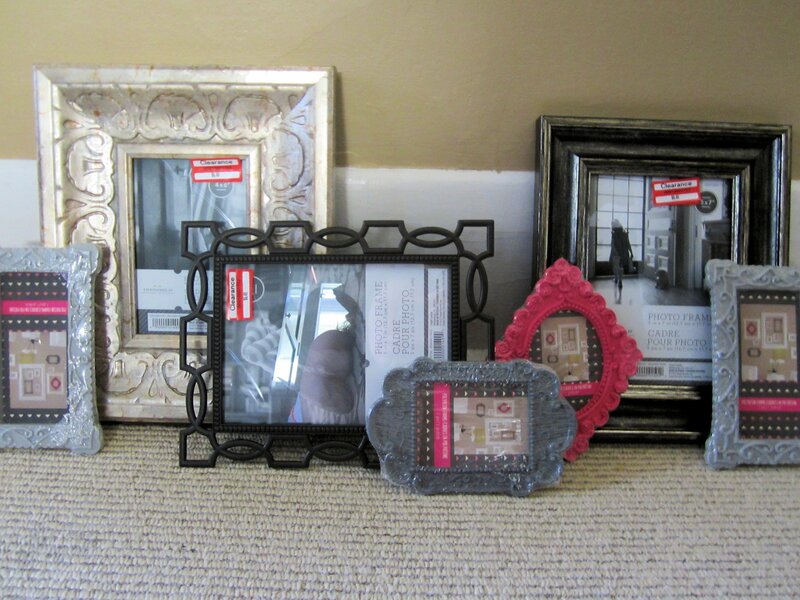 The 4 smaller frames were from the dollar section and we also on clearance – for $0.50 each! While the pink doesn’t exactly fit in with the muted colours in my dining room, I loved the shape and it would be easy enough to paint. I think I now have all the elements for my gallery wall including artwork, mirrors and photos. Now I just need to figure out my layout and hang everything! I’m hoping to have something posted in the next couple weeks!